This bracelet uses a bead crochet stitch and nine colors. 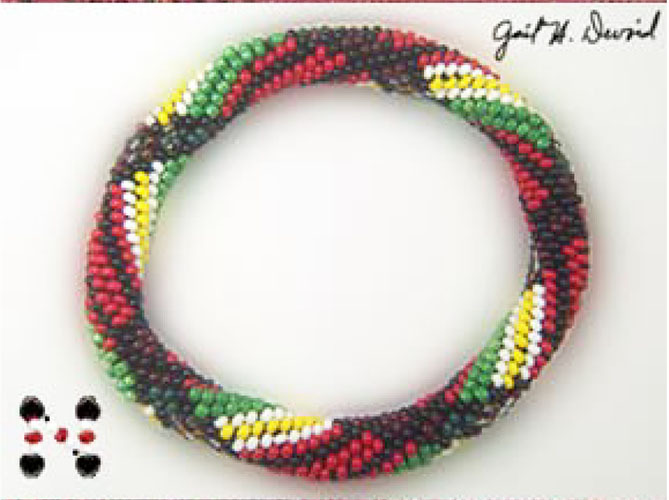 Because there are so many beads in the round (11), the bracelet is far stiffer than most bead crochet bracelets. The bracelet is more like a bangle. With black thread being used, the pattern is for advanced and experience bead crotchetier only.